Originally Submitted to FurAffinity.net on May 15th, 2014 01:54 AM. So the theme for AC this year is "secret societies." As soon as Mylith mentioned the KGB, I knew exactly what kind of badge would be appropriate for him, and made one for myself in the process. 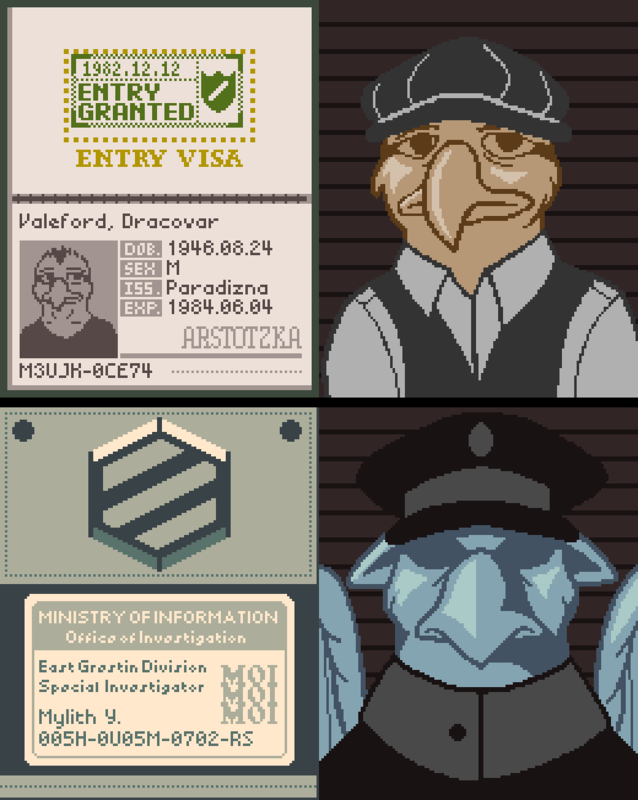 Done in the style of "Papers, Please", an independently-made document-checking game taking place in turbulent eastern Europe during the Cold War. Play it or risk osprey bites because it's friggin' awesome.